We come here to be fans of SWAT Kats. A show made in the 90's that has stayed with us all over the years and I was just wondering how we figure out why? Why is this show one we keep coming back to? What is it about the show that we love? Now I enjoyed the show growing up but after it stopped airing, I stopped thinking about it. Moving on with other things and while it was a memory in my mind I never really bothered to call it up outside of conversations about shows I used to watch. That is until I joined the fandom as part of a now defunct RP. I played with my own characters in the world the show had made, made friends and stories all my own but then that RP ended... And yet I am still here. Why? What in the actual show itself makes us love it so?! So here is what I propose this thread is about: Just complete the sentance "What I love about the show SWAT Kats is..." and post your reply. Post one thing and let someone else post another and then you can post another thing you love about the show and so on. § Why posting just one thing? Because it's a Discussion thread, we want to keep it going, keep it rolling on. § If you see something you were gonna post posted by someone else, don't think: "Aw man, she/he took what I was gonna say." Instead look at it as: "Oh hey, she/he agrees with what I thought. Awesome. I'll still put it down myself. Sure it's saying something that has been said but I liked it and feel it should be said again!" There isn't a limit to liking things so if you just wait after you posted for someone else to have a go, great! § Are there faults in the show? Yeah but this isn't what this thread is about. This is just pure positivity about the show itself. No fanons or anything we've put in, just what we love about the show itself as fans. What I love about the show SWAT Kats is: It was a show I could enjoy as a child that made me feel like an adult and now I can enjoy it as an adult as it makes me feel like a child again. 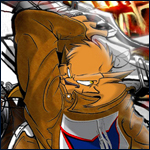 So balls in your court people, what do you love about the show SWAT Kats? The creativity. There was clearly a lot of love put into this show. The writing is brilliant and the characters are relatable. I like the anthropomorphic characters and the somewhat zany story lines. But above all, I would have to say I like what it *could* be. The show has so much untapped potential. Oh, and since I've followed the show for so long, some of it could just be the sunk cost I've incurred. What I love about the show SWAT Kats is: it was an action show which had a strong female cast. Think about it. Aside from the two male leads, most other male characters are either easierly defeated , incompetent or shown up by the SWAT Kats every week . The females (who to be fair get put in distress a lot) are the ones who run the city , figure out how to defeat the bad guy or are taking on the action head on ! 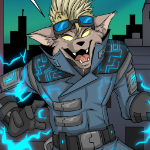 What I love about the show SWAT Kats is: the music, yeah! You can't hear decent OSTs these years on cartoons. 90% of them are all the same, using the same "childish" instruments... SWAT Kats guitar really rocks! Last edited by Prettyshadowj26 on Sat Jul 07, 2018 11:27 am, edited 1 time in total. 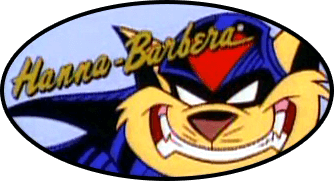 What I love about SWAT Kats is the cat puns and jokes! Even though it’s an action cartoon, it’s got humor that fits right in with other H-B titles.